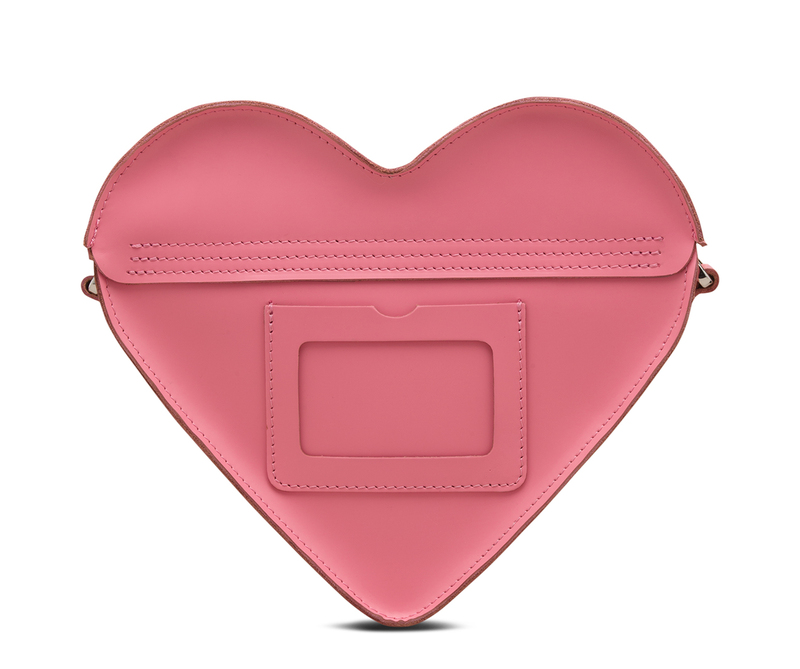 A heart-shaped satchel for the wild at heart. Featuring rose embroidery, heart-shaped appliques and sequin hearts. 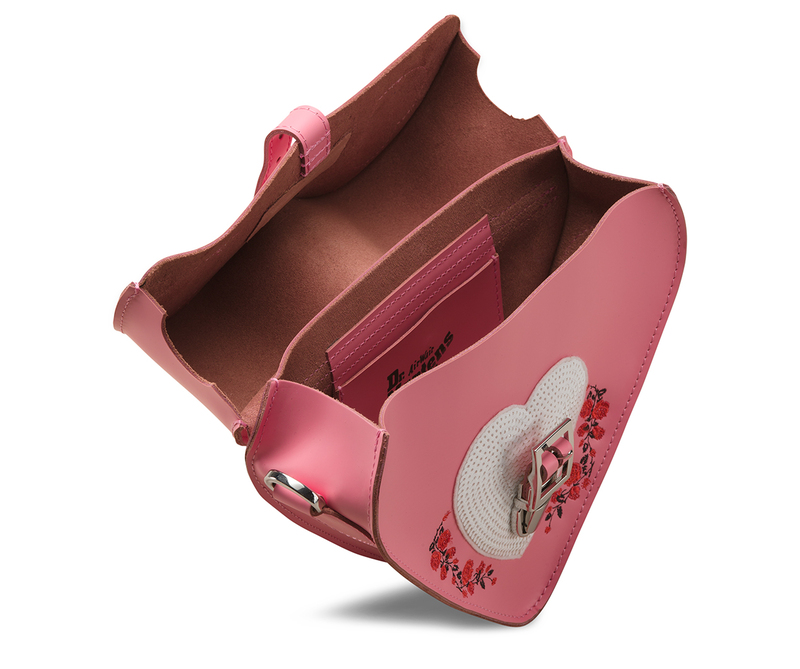 Plus, a removable strap and magnet snap fastening.